First-time homebuyers looking to enter the Toronto market are increasingly scooping up condos, even as competition drives the average price of a detached home up to $1.2 million. 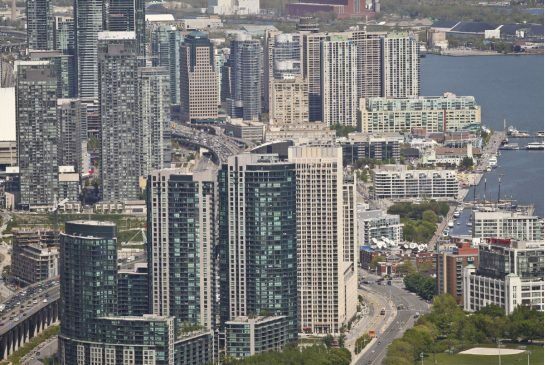 Residential property prices in Toronto have shot up 12 per cent over last March, according to first-quarter numbers from the Toronto Real Estate Board. Those numbers were boosted by the ever-rising price of fully detached homes and condos in the city. The average detached price is now $1.17 million, while the average condo price is at $416,251, according to the report. The number of sales also shot up 16 per cent, when compared to the first quarter of 2015. However, new listings this March were down when compared to the same time last year, adding more fuel to the red-hot market. But despite the often-heated competition in Toronto's housing market, first-time homebuyers make up approximately half of the house-hunting market, according to Jason Mercer, director of analysis for the TREB. Mercer cited numbers from a TREB-compiled poll by Ipsos. Mercer said many first-time homebuyers are turning their attention toward Toronto's supply of condo apartments, instead of going for a more expensive detached home. "The condominium apartment is remaining a popular option, and in fact receiving an increase in sales over time," he said.